Home » Altcoins » What Is Cofound.it Coin (CFI)? What Is Cofound.it Coin (CFI)? Cofound. it is a platform on which users have the opportunity to get together as a team to be trained to enter a successful blockchain business. This process is supported by the development team of Cofound. it and numerous other experts for the respective business areas. The Cofound. it Coin acts as a means of payment on the platform. Cofound. it has a market capital of $45,635,850 USD. Every day $2,389,970 USD are traded in coins. The price for a Cofound. it coin is 0.14 USD (as of 13.12.2017). At Cofound. it, users can log in to transform their vision into a real blockchain project. The platform is supported by many experts, but also investors who believe in the ideas of the founders or those who want to become one. The so-called teams typically go through the following processes: selection phase, training camp, ICO procurement and transition phase. In the selection phase, which lasts about 1-2 weeks, talent evaluators assess the team’s vision and ideas and determine which steps are still needed to make the team successful. Directly after that follows the training camp, which lasts about 8-12 weeks. There, each team is assigned a trainer and a team of specialists, matching the business idea, to work on their ideas. If this was successful, the team must now obtain ICO to finance the business. This is done through the Priority Pass program. Users of the platform who have a Priority Pass can support the teams as investors. Once the team has successfully completed this process, the transition phase will continue for another 2-4 weeks. The team continues to grow and develop into a real blockchain company. With the Cofound. it Coins you can gain access to the Priority Pass as a user. If you own it, you have access to the platform’s exclusive additional material and are also involved in advance sales. As an investor, this can be particularly lucrative if a solid business model is presented in which you would like to participate. Generally, access to the platform is only possible with a certain number of coins. The currency is therefore to be regarded as “petrol” by Cofound. it. One of the founders of Cofound. it is Jan Isakovic. He has a double connection in economics and computer science and worked for IBM and Microsoft. In the course of his career, however, he supervised many start-ups himself and was involved in a start-up process several times. The other founder of the company is Daniel Zakrisson. He is also a founder and technologist himself. He has mainly been involved in software development. He is also a follower of Ethereum. Their vision is to support founders and start-ups and provide them with a platform to build a serious business. They see this as part of a decentralised economic system and want a decentralised future. Cofound. it is a platform that gives founders and start-ups the opportunity to develop into a successful company. This is also lucrative for investors who want to participate in such business models. Cofound. it has created a broad, decentralized network which has already had great successes. You can’t buy it directly for fiat on any exchange. You can choose the best BTC exchange for your region and buy BTC there, then trade it for CFI on exchanges. Read here how you can quickly convert other coins to bitcoin and the other way around. Best and safest option to store your coins is to download an official coin wallet and store it on a hardware wallet – our recommendation is just go and buy Ledger Nano S, it is the safest option.You can read our article on how to use Ledger Nano S wallet and where to buy it or check out other best hardware crypto wallets here. You can also create a paper wallet – learn here more about cryptocurrency wallets. 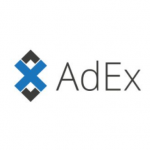 What Is AdEx Coin (ADX)? 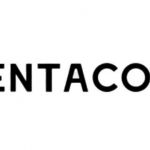 What Is Dentacoin Coin (DCN)?